If you're into books, you'll know who the boy who lived is. And you know what a great influence that scarred boy is to this generation. 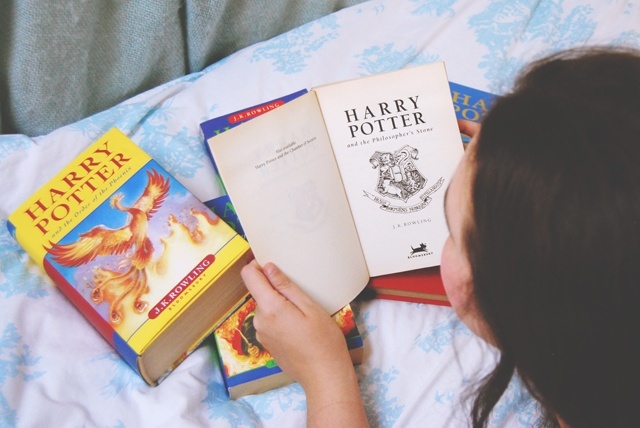 There is no doubt that The Harry Potter book series changed me and made me a better person---like the rest of the world. I can say that the boy who lived taught me about life. Here are my life lessons from Harry Potter. The boy who lived taught me how to be a true friend. When it comes to his friends, Harry gives his all. He’s honest---he does not sugar coat the truth to you, he’s supportive, and he can be funny but he is very serious about laying his life for his friends. He taught me to stand for what is right. Harry did not get swayed by what the majority thinks. Even when he knows he’ll be the only one left standing in the end believing it, even when he knows the whole school would think of him as a lunatic, even when he might lose his friends--- the only family he’s got. As long as he knows he’s standing for the truth and what is right, he stands firm and unwavering. He taught me how to live with a purpose. The boy who lived was famous even before he could walk and talk. There’s not a child that doesn’t know his name. But he did not live drunk in fame and glory. He tries to be as normal as he could be. He lived not to show off, but to fight evil, defend those who are oppressed, and loved with all that he had. There are a lot of ways the boy who lived taught me about life. And I’ll forever be thankful for that day I picked up a copy of the Harry Potter book. I'm glad I helped Harry out of his cupboard. It’s the same day my life was changed…forever. One of the things I loved about his character is how everyone keeps talking about how amazing he is, but he knows he's just a kid--a kid with NO magical knowledge or special talent to start. It's easy to let our heads inflate at the first sign of success, but he just kept feeling humbled by how underwhelming he was compared to his legend. It was the same thing when we first meet him with the Dursleys. He's humble, not necessarily by choice, but because of his circumstances. He never complains about his lot, just does the best he can. Definitely a great character. Really amazing inspirations! Thanks for sharing!! I love the Harry Potter books, and it's so cool that we have Harry Potter world nearby at Universal Studios! I enjoyed the Harry Potter series as well. I'm glad it gave so much to you, reading is wonderful! I absolutely love HP! 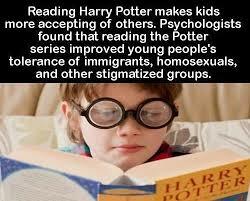 Reading the books has changed my life for sure! Loved hearing what you learned from the books. :) Have a great week! I've never read these books. Not my kind of reads. My girl's favourite. She has the complete works. The Harry Potter series has such value and provides all of the beautiful messages that you described above. It saddens me that some Christian families won't allow their children to read them because of the magic aspect. Our son is on the 2nd book. After the 1st we took the time to discuss and talk about the morals and values Harry learned and how that is relevant to life as a Christian. Great post. Inspiring. Harry has so much to offer us in the way of how to face adversity with strength and courage. Thank you for sharing! Oh my family has loved these books for years!! !